“Herstory: Women working in corrections” book tells the stories of pioneering women working in prisons in Solomon Islands and how collectively they fought for women to be considered equal to men in the male-dominated security sector. Sukwadi Media worked with the CSSI Women’s Network over nine months on this participatory research and media project to bring the book and a film to fruition, with funding support from Australian Government. 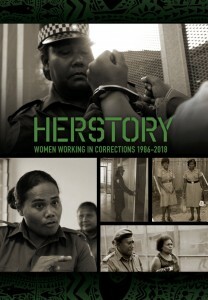 The book HerStoryis the collective story of 24 women who worked in prisons and correctional services from 1986 to the present day. These women have a combined total of 377 years of service to CSSI. It is the first time Pacific correctional officers have published their own history of service.